According to the Department of Commerce, there about 12.4 million electric motors in use in industrial operations across the United States that operate at 1hp and above. Approximately 25% of these motors will fail in the coming year. 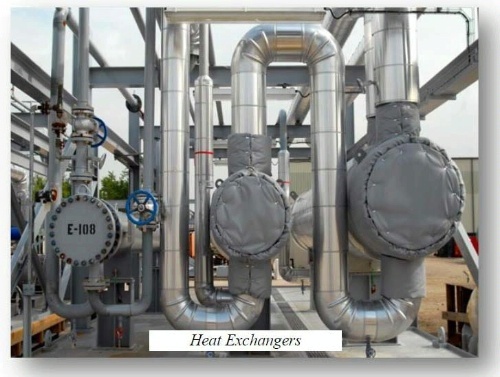 Machine alignment can help those motors run more efficiently, which saves costs in energy consumption and reduces the punitive costs that can come with excessive harmful emissions. Misalignment is the leading cause for machine failure. It occurs when the center lines of two shafts do not line up as they should. Misalignment can destroy seals, bearings, couplings, stators, rotors, shafts, and more. It destroys components by adding stress forces that are transferred throughout the entire machine and reduces its productive life. Misalignment causes more rotating equipment failure then the next two issues combined: unbalance and poor bearing install. An increase in vibration and noise. Premature wear on bearings and seals. Excessive shaft and coupling failure. You shouldn’t solely rely on visual inspections to check the alignment of your machines. The dial indicators can be more accurate, but do not provide real-time values to help measure the correct alignment simultaneously. In fact, dial indicators should be removed and reinstalled after each alignment is completed. It is essential to have the proper technology and tools in order to properly diagnose a misalignment. Parallel misalignment – When an offset of the shafts occurs. Parallel misalignment can be seen in both the vertical and horizontal planes. Horizontal misalignment requires a side-to-side movement until the center lines match. Adding or subtracting shims from the machine feet or motor can fix vertical misalignment. Angular misalignment – When the shafts run at an angle to one another. It can also occur in the horizontal or vertical planes. It is possible for a machine to simultaneously experience both parallel and angular misalignment at the same time. Both need to be corrected before it can be put back in use. 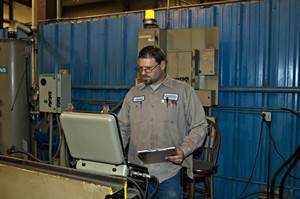 Vibration analysis – This method detects a machine’s misalignment by analyzing changes in vibration response, critical speeds, and machinery stability as compared to an established baseline. Laser alignment – One of the newest technologies, it works by using a laser directed into another sensor. This sensor deciphers the information and then provides accurate data to adjust your equipment. Thermography – Due to increased friction that occurs with misalignment, an abnormal rise in temperature can be used to diagnose a misalignment. Oil analysis – This process can be a better option than vibration analysis when performed correctly. It must include sampling from the right location, using new sampling hardware, flushing sample lines, and more. However, it can be difficult to establish misalignment without knowing the metallurgy of the machine’s bearings. HDS is a fully qualified rotating equipment service repair center with experienced personnel trained in the most current machine alignment, inspection, and repair techniques. Call us today to discuss your needs.